Remember that prankster who tried climbing under America Ferrera’s dress at Cannes last week? 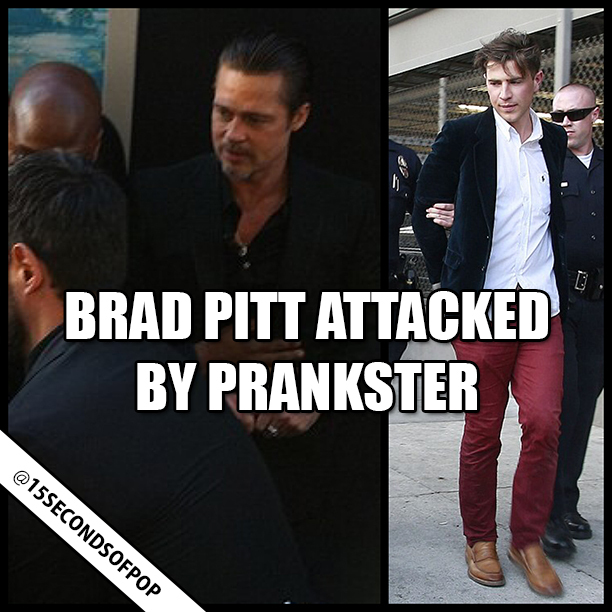 Well, he STRUCK again, and this time it was BRAD PITT! The troublemaker lunged at Brad at the “Maleficent” premiere in Hollywood last night, hitting him in the face and breaking his sunglasses! The moron was immediately arrested and will probably be prosecuted. Brad wasn’t hurt in the attack, just shocked and confused. Watch the FULL attack video below.